What comes first, the interests of your community or country? We may differ in our opinions, but for T.B. Jayah without doubt it was always the country’s interest that came first. A colossus Muslim politician of the 20th century, Jayah expressed the following sentiments when debating on the demands of minorities at the State Council way back in 1937. We are reminded of these words of wisdom of Dr. Jayah when President Mahinda Rajapaksa, in his address to the nation in Parliament on 19th of this month, echoing the patriotic sentiments of the people of our motherland when he declared: “First it is my country, Second it is my country, third it is my country!”. Indeed, Dr. Jayah was a man of wisdom and vision above anything else. The astute politician that he was, Dr. Jayah understood the concept quite rightly - that the aspirations of the community should not be met at the expense of the country. It was as simple as that. This all important statement was made in 1937, but his words are more appropriate today, as we have just witnessed the end of a protracted war which has wrought havoc and untold misery to this country for the past three decades. It is precisely to avoid this type of catastrophe Dr. Jayah articulated his points of view during one of the most important debates that ever took place in this country’s legislature. True, we may have our own grievances, but in seeking redress we must ensure that the country remains stable. Any action to the contrary means the spelling of disaster for the entire country as well. We quite unfortunately have seen it happen, but Dr. Jayah did not witness those calamities during his time. By then the nation had not experienced any large scale violence or civil disturbance other than few isolated incidents. Yet, Jayah had the foresight to realise that indulging in such politics can only bring disaster. Many would have disagreed with his view at that time, but now we know Jayah was correct in his political thinking. This statement was made by him at the State Council during a debate on the Dominion Bill. He assured the British rulers that there need not be any cause for concern. For him, self-respect of the nation as a whole was more important than anything else. Freedom comes first and we are capable of handling our issues ourselves. His speech had such an impact on our freedom movement that many prominent Sinhalese leaders subsequently acknowledged it as an epoch making speech which was made with regard to our struggle for freedom. Dudley Senanayake, the former Prime Minister issuing a statement upon Dr. Jayah’s demise in 1960 said. That was Jayah the politician, who secured the unwavered support of his community for the country’s freedom. That contribution alone was sufficient for him to be acclaimed as a national hero by the State. However Jayah was not merely a visionary politician, he was a visionary educationist too. Without his immense contribution in the field of education, the Muslim community of Sri Lanka would not be holding its head as high as it is today. “The supreme need of the hour is education, not merely elementary education, not mere half hearted education, but an education that will turn heroes and heroines,” he fervently declared noting that the community’s backwardness is due to lack of education during the early 20th century. `Heroes and heroines,’ yes, Jayah was stressing the importance of education for Muslim girls as well. This was at a time when the community was apprehensive of even sending their boys to schools due to their largely Christian missionary influence. Jayah the educationist left no stones unturned in trying to allay the fears of Muslim community in this regard. Furthermore, he wanted to establish an education system that will not only help students get jobs, but also produce “leaders and reformers, thinkers and philosophers, an education that will make us a progressive, enlightened and powerful minority”. This then should be the true purpose of education for boys as well as girls. In keeping with this vision, in 1923 he accepted the Principalship of Zahira College, Colombo. By the help of the Almighty, he managed to elevate the college into a brilliant seat of learning within one decade. The college brought dignity to the Muslim community in no small measure. Those who learnt under his stewardship rose to highest position in society: Former Speaker Deshamanya M.A. Bakeer Markar, Ministers Dr. Badi-ud-din Mahamud, M.L.M. Aboosally, M.H.M. Naina Marikkar, Justices M.M. Abdul Cader, A.M. Ameen and M.A.M. Hussain, former Attorney General A.C.M. Ameer, Barrister A.L.M. Hashim (who was Ambassador in Saudi Arabia and later succeeded Dr. M.C.M. 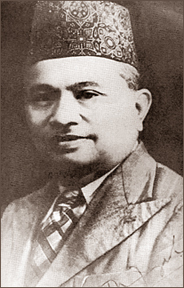 Kaleel as the President of the All Ceylon Muslim league), Prof. A.M.M. Mackeen of the University of Malaysia and renowned sportsmen who are too numerous to mention are among those who achieved greater heights in their respective positions and were the proud children of Mother Lanka. Today, one would never be able to mention Zahira College without associating Dr. Jayah’s name with it. When he was appointed to the State Council in 1935, Dr. Jayah also served on the Executive Committee of education. Along with Sir Razik Fareed, he toured the length and breadth of the country and impressed on the Muslim parents, the need to give education to their children. Zahira’s sister schools in Gampola, Matale, Aluthgama, Puttalam, Mawanella, Slave Island and elsewhere were results of their untiring efforts to impart both secular and religious education among Muslim children. Dr. Jayah also fought for the rights of teachers and was largely responsible for the establishment of a pension scheme for them. He introduced free education, teaching in the mother tongue, healthcare and subsidised meals at Zahira College long before the State realised the obligations towards its citizens (Enver C. Ahlip in `Jaya - a Life Serene’). Due to these contributions, he has been described as the Sri Syed Ahmed Khan of Sri Lanka, who was the founder of the Aligarh Muslim University in India. Prior to becoming the principal of Zahira, he taught at leading Buddhist Schools Dharmaraja, Kandy, Ananda College, Maradana and a leading Christian institution, Prince of Wales, Moratuwa. He joined Ananda College at the invitation of its Principal P. de S. Kularatne to take up an appointment as Classics Teacher. It is from this leading Buddhist seat of learning Dr. Jayah’s greatness as an educationist began to flow. He had the distinction of having tutored some of the greatest Leftist and Marxist leaders to emerge, viz. Philip Gunawardene, Dr. N.M. Perera, Dr. S.A. Wickremasinghe and Robert Gunawardene and several other leaders. Born on 1st January, 1890 at Galagedera, young Jayah was educated at St. Thomas’ College, Modera. He passed the Cambridge Junior examination and won a scholarship to study in England. He was a trained teacher by profession having passed his London Bachelor of Arts in Classics in 1911.
i. Teaching us that freedom comes first. It must come without any pre-condition because to live in freedom is to live with dignity. We may enjoy all material benefits of life but without freedom they will be rendered useless. ii. Interest of the country as a whole is paramount. The community can prosper only when country as a whole prospers. In fact, the Muslim community should be grateful to stalwarts like Dr. Jayah, Sri Mohamed Macan Markar, Dr. M.C.M. Kaleel, Sri Razik Fareed and Al Haj Dr. Badi-ud-deen for steering them on the moderate path during the time of our independence struggle. If Muslims have enjoyed peaceful co-existence with other communities, then it was due to the influence of these giants on the principles of their Islamic faith. Dr. Jayah was not merely a visionary politician, but was also an accomplished scholar of Islam. He espoused its teachings so eloquently at public gatherings to such an extent that the speeches captured the hearts and minds of people. Dr. Jayah has left behind a legacy that will indeed inspire us for generations to come. May Allah Almighty grant him eternal felicity in Jennathul Firdouse - Aameen! The writer is a former Minister for Parliamentary Affairs and Islamic Affairs and the Senior Vice President All Ceylon Muslim League.